Construction of Philadelphia’s multi-park improvement project, which includes the transformation of the abandoned Reading Railroad viaduct into an elevated park, will begin this summer, according to Philly.com. The extensive open space plan is being made possible in part by an $11 million joint grant from the William Penn and Knight foundations that was announced Monday. The funding is being funneled through the Fairmount Park Conservancy and targets five specific projects throughout the city, primarily in underserved areas. •Reading Viaduct Rail Park: A former industrial rail line being repurposed by the Center City District as a green, public space that will rise from ground level onto bridges crossing over three city streets. Designed by Studio Bryan Hanes, the elevated rail park is being modeled after New York's High Line. •Fairmount Park Conservancy’s Centennial Commons: The $6 million transformation of an underutilized section of West Fairmount Park into a "creative playspace" for the Parkside community. The Centennial Commons will include "a climbing wall, a mini-mountain range, and a spray park that turns into a winding ice-skating track in winter," according to Philly.com. "It will sprawl across the rolling lawn between the Please Touch Museum and the School of the Future on Parkside Avenue." • The Discovery Center in East Fairmount Park: According to the press release, the park will be an educational collaboration between Audubon and Outward Bound meant "to inspire leadership development and environmental stewardship at the East Fairmount Park Reservoir, adjacent to the Strawberry Mansion neighborhood." 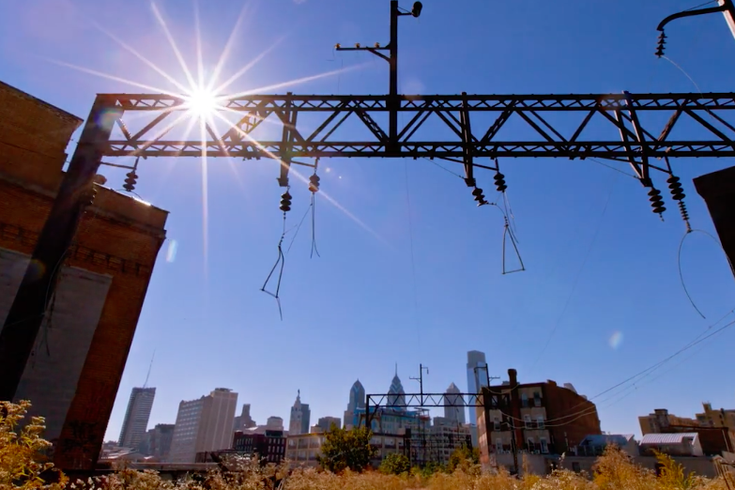 •Bartram’s Mile trail project: A mile-long trail along the lower Schuylkill River planned to "transform the industrial brownfields into an urban park as part of 'the Circuit,' the region’s 750-mile trail network." "When the trail is completed, residents of Kingsessing will be able to walk, run, or bike into Center City," according to Philly.com. •Lovett Memorial Library and Park: The renovation and expansion of an existing library by The Free Library of Philadelphia and Mt. Airy USA, which was chosen because "it straddles the border between the neighborhood's prosperous west side and the less affluent east side," according to Philly.com. All five projects could be completed within two years, at which time the Fairmount Park Conservancy would collect data to measure the impact of the new parks on their neighborhoods, according to Philly.com. Read more from Philly.com here.